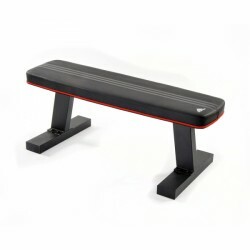 The adidas flat bench is a very sturdy and compact weight bench. The thick upholstery makes the training very comfortable. The ideal bench for home use. 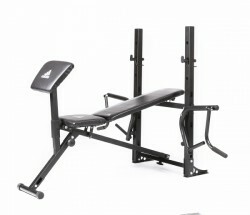 The adidas weight bench Training Bench presents the ideal basis for a varied and intensive training at home. 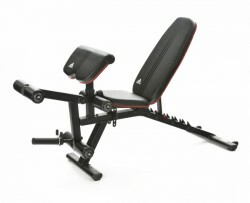 The adidas multi-gym Essential Elite is a training bench for the whole body training. 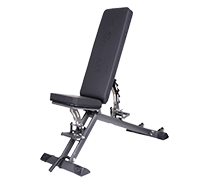 The weight bench is additionally equipped with a leg extension and curl attachment and a barbell rack. A curlpult and a lat pull tower are integrated as well - for intensive biceps, triceps, and shoulder training.